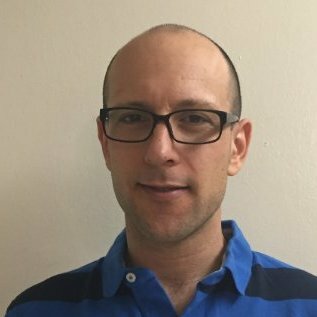 Former ISR Postdoctoral Researcher Hadar Ben-Yoav has accepted a tenure-track position as an Assistant Professor (Senior Lecturer) in the Department of Biomedical Engineering at Ben-Gurion University of the Negev, Beer Sheva, Israel. He will be working on bio-microelectronic devices such as biosensors and lab-on-a-chip devices for medical applications such as personalized health monitoring. At Maryland, Ben-Yoav worked with ISR Director Reza Ghodssi (ECE/ISR) in his MEMS Sensors and Actuators Laboratory (MSAL). His work at MSAL focused on developing analytical microsystems for neuropsychiatric disorders (the MiND project) in collaboration with Professor Gregory F. Payne (BioE) and Professor Deanna L. Kelly from the Department of Psychiatry at the University of Maryland School of Medicine in Baltimore. She is also the director of the Treatment Research Program at the Maryland Psychiatric Research Center (MPRC). The work was funded by the Robert W. Deutsch Foundation, the Maryland Innovation Initiative (MII) at TEDCO, and the National Institutes of Health.